Your support of Habitat Tucson makes a vital difference in the lives of families in Southern Arizona. Every day, Habitat Tucson sees how safe and stable homes change lives throughout our community. 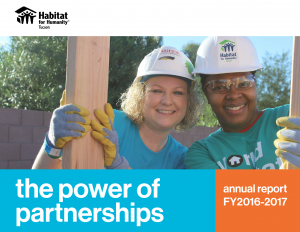 Thanks to your partnership, Habitat Tucson helps families achieve the dream of homeownership. We also provide home rehab services to veterans, seniors, families and individual through our A Brush with Kindness program and critical home repair program. Together, we touch more lives and build hope for more of our neighbors. 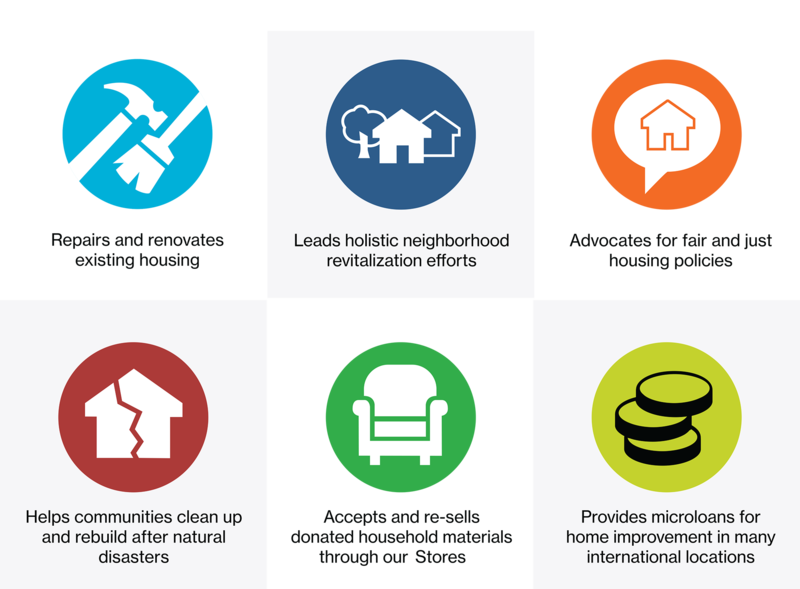 Safe, decent, affordable homes build thriving communities. The need continues. Your gift today will help more families build and repair their homes. 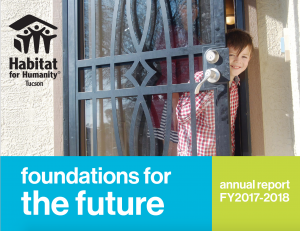 For a current report about Habitat Tucson’s goals, our strategy and capacity for achieving them and how we measure our success, please take a look at our annual reports and audited financials. 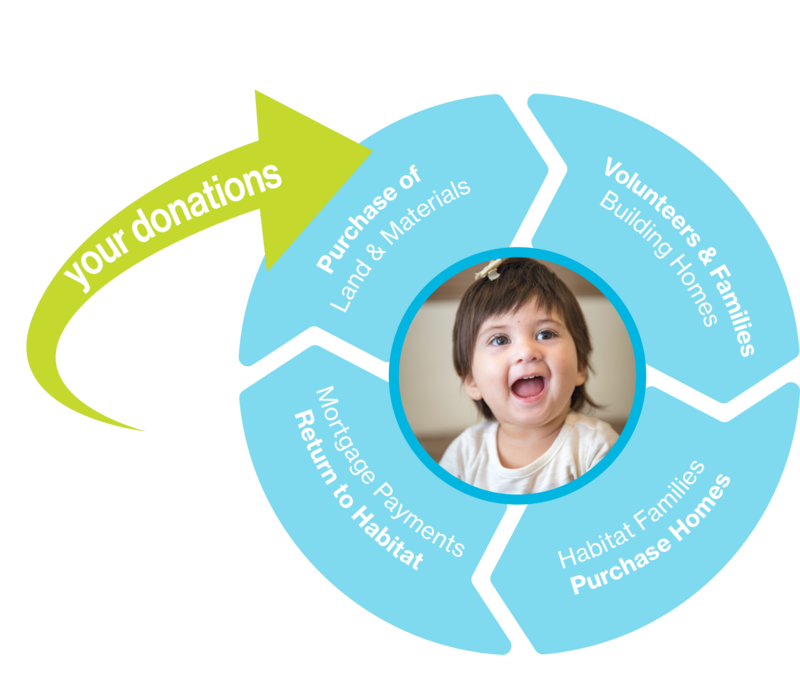 Donations enter into the revolving fund cycle as Habitat Tucson builds and sells homes. Our homebuyers make mortgage payments that continue to fund the construction of new, safe and affordable homes. Over 70% of our donations come from individuals. Thank you for investing in home!